Editor's note: This section of Science Speaks regarding the fulfillment of prophecy appears to have followed the arguments given in, and relied upon the evidence taken from, a book in Peter Stoner's library titled, Fulfilled Prophecies that Prove the Bible, by George T. B. Davis, The Million Testaments Campaign, 1505 Race Street, Philadelphia, Penna., C 1931. Many very significant changes have taken place in the mideast since 1931. Of recent interest was the intended rebuilding of Babylon by Saddam Hussain. When I started trying to update Science Speaks, I was cautioned several times that Babylon might be on the verge of being rebuilt. I admit to being somewhat nervous about this. A mere day or two before George W. Bush began his attack, an atheist e-mailed me, warning that the biblical prophecy about Babylon was about to be proven false. While I was mulling over how to reply, the bombs fell and history headed off in a different direction. I worry that the enthusiam in my reply to that atheist may have exceed the limits set by good manners. The combined causes of liberating the Iraqi people, making the world safer from terrorists, and even eliminating the possible threat of "weapons of mass destruction" (the existance of which seemed to have been unchallenged by anyone before the war) may have all been important causes; but one has to wonder whether the real reason Saddam Hussain was stopped was simply that God protects his Word. Prophecy must stand. Another change which concerns me involves the expansion of modern Tyre (satellite image right - search: "Sour, Lebanon" on Google maps, or get Google Earth download for a better image). I have been unable to obtain good enough information to know exactly where the ancient mainland city used to be (and, therefore, can't tell whether or not the site has been built over). Ruins appear to be visible on presently-unbuilt parts of both the ancient island and mainland areas. Because of all that has happened, Chapter two of Science Speaks is severely in need of updating. Unfortunately, I (Don Stoner) am not personally qualified to accomplish this rework. It is presented here, largely unchanged. MUCH HAS BEEN WRITTEN about the fulfillment of biblical prophecies. Many archaeological expeditions have delved into the ruins of old cities referred to in biblical accounts, and have written reports of their findings, showing that the biblical accounts were accurate. Many books have been written showing how prophecies have been fulfilled and are yet being fulfilled. As far as I have been able to find, very little has been written to show just how definitely this fulfillment of prophecy does prove the Bible to be the inspired Word of God. This chapter is being written so that the person who is in doubt about the inspiration of the Bible may be given strong evidence upon which to anchor his faith. Only a very few of the great number of prophecies which could be considered are being used, and only a very brief account is given of the fulfillment of these prophecies; just sufficient to make evaluation possible. Other books are suggested for more complete treatments. In some cases references are given to histories and other books, so as to facilitate the checking of the facts from sources outside of the Bible. I am making use of the well-known principle of probability. If the chance of one thing happening is one in M, and the chance of another independent thing happening is one in N, then the chance that they shall both happen is one in M times N. The proof of this theory will be found in any college algebra text. I shall only illustrate the truth of the principle. Suppose one man in every ten is bald, and one man in 100 has lost a finger, then one man in every 1,000 (the product of 10 and 100) is both bald and has lost a finger. To show the truth of this conclusion, suppose you take 1,000 men at random and sort out all that are bald. Since one in ten is bald you will have just 100 bald men in the 1,000. The other 900 are not bald, therefore cannot both be bald and have lost a finger. f Now go through these 100 bald men and look for men who have lost a finger. Since only one man in 100 has lost a finger, you will find only one in this group. This man then is both bald and has lost a finger, and he is the only man who fills the two conditions. In other words, we could say that the chance of a boy becoming bald is one in ten, and the chance of a boy losing a finger is one in 100. Therefore, the chance that a particular boy shall become bald and lose a finger is one in ten times 100, or one in 1,000. Thus the theory is seen to be true. If the events are not entirely independent, a somewhat different theory of probability must be used. If the chance of one thing happening is one in M, and after it happens the chance that a second and related event will happen is one in N, then the chance that both will happen is one in M times N.
Let me illustrate. What is the chance that a young man will eventually lose both his first and second fingers? We cannot find the answer by asking the questions: One man in how many men has lost his second finger? and then multiplying the two results. The loss of the first and second finger is often related. The same accident that takes the second finger is very apt to take the first finger also. We must ask the questions: One man in how many men loses one of his first two fingers? And one man in how many men after losing one of his first two fingers also loses the other? Then we may multiply these results. This principle will be carefully adhered to throughout this treatment of probability in the following pages. These theories of probability are the foundation on which the rates are fixed for all kinds of insurance, and its truth has been proved in practice in every application. The probability of the fulfillment of the items of various prophecies is difficult to arrive at. The abilities used in this treatment are an attempt to give the chance of the prophetic items being fulfilled if they had been written only with human knowledge. The author has used the mean of the estimates given him by some seven hundred college students over a period of more than ten years as a starting point, but he has carefully weighed these and changed all that seemed questionable. In nearly all changes the estimates were made more consecutive. no attempt will be made, however, to defend these estimates. The reader should feel perfectly free to make the estimates which seem reasonable and conservative to him. He should then compute with his own estimates the probability of the fulfillment of the prophecies. The author believes, however, that the reader may wish to increase as many values as he would decrease and thus make very little change in the final results. At any rate his computed results will be conclusive. Therefore thus saith the Lord God; Behold, I am against thee, O Tyrus, and will cause many nations to come up against thee, as the sea causeth his waves to come up. And they shall destroy the walls of Tyrus, and break down her towers: I will also scrape her dust from her, and make her like the top of a rock. It shall be a place for the spreading of nets ... For thus saith the Lord God; Behold, I will bring upon Tyrus Nebuchadrezzar King of Babylon... and they shall lay thy stones and thy timber and thy dust in the midst of the water... And I will make thee like the top of a rock: thou shalt be a place to spread nets upon; thou shalt be built no more: for I the Lord have spoken it, saith the Lord God ... Then all the princes of the sea shall come down from their thrones, and lay away their robes, and put off their broidered garments: they shall clothe themselves with trembling. The great freshwater springs of Raselain are at the site of the mainland city of Tyre, and no doubt supplied the city with an abundance of fresh water. These springs are still there and still flow, but their water runs into the sea. The flow of these springs was measured by an engineer, and found to be about 10,000,000 gallons daily. It is still an excellent site for a city and would have free water enough for a large modern city, yet it has never been rebuilt. Thus item 7 of the prophecy has stood true for more than 2,500 years: (7) The old city of Tyre shall never be rebuilt. Having been given these estimates by my students for the probability of the fulfillment of each part of the prophecy, we shall get an estimate of the probability of the fulfillment of the whole prophecy by multiplying all of the estimates together. The chance then of Ezekiel writing this prophecy from his own knowledge, and having it all come true, is 1 in 3 x 5 x 500 x 10 x 10 x 5 x 20. This is 1 in 75,000,000. This can be abbreviated as 1 in 7.5 x 107. The exponent 7 indicates the number of ciphers (digits - or zeros) that are to follow the 7.5. "Therefore I will make Samaria as a heap of the field, and as plantings of a vineyard: and I will pour down the stones thereof into the valley, and I will discover the foundations thereof" (Micah 1:6 - written 750 B.C.). 1. Samaria shall be destroyed. 2. It shall become as a heap of the field. 3. Vineyards are to occupy its site. 4. Its stones shall be poured down the sides of the bill on which it stands. 5. Its foundation is to be dug up. Samaria was still a prominent city 750 years later, in the time of Christ, and is often mentioned in the New Testament. The city was finally destroyed, and became a heap of stones and ruins. Gradually the hill has been cleared; the foundation stones and other rubbish taken to the edge of the hill, and rolled down into the valley. It is now covered with gardens and vineyards. 1. What chance had Micah of predicting the destruction of the great walled city of Samaria, which was greatly protected b its position on a hill? The estimate was set at one in four. 2. What was the chance that it should then lie as a heap of the field, instead of being rebuilt? Many ancient cities are still just heaps of the field, many others have been rebuilt, so the estimate was given as one in five. 3. What chance was there that it should become a garden spot, a place for vineyards? What is the change that the old site of Samaria should be cleared for gardens when much untilled land lay all around? Very few old cities were considered to occupy sites of sufficient agricultural value to clear away all the stones and debris in order to use the ground for gardens, so the estimate was set at one in one hundred. 4. What is the chance that the stones would be rolled down the side of the hill when the ground was cleared, instead of being piled in stacks on the hill, or used for other buildings? Estimate was one in ten. 5. What is the chance that while clearing the ground for the gardens, the workers would be industrious enough to dig down and remove the foundation stones, as well as the surface debris? The estimate was placed at one in two. "For Gaza shall be forsaken, and Ashkelon a desolation ... And the sea coast shall be dwellings and cottages for shepherds, and folds for flocks" (Zeph. 2:4, 6 - written 630 B.C.). "And the remnant of the Philistines shall perish, saith the Lord God" (Amos 1:8 - written 787 B.C.). "Baldness is come upon Gaza" (Jer. 47:5 - written 600 B.C.). 1. The Philistines shall perish. 2. Gaza shall become bald. 3. Ashkelon shall become desolate. 4. The vicinity of ashkelon shall become the dwelling place of shepherds with their sheep. When these prophecies were made the Philistines were the most powerful race in this country. Palestine means the land of the Philistines, but the Philistines have completely vanished. A city of Gaza still exists, so for a long time the prophecy with respect to Gaza was thought to be an error. Finally a careful study was made of the location of Gaza, as described in the Bible, and it was found that the new city of Gaza was in the wrong location. A search was made for the old city and it was found buried under the sand dunes. It had indeed become bald. What better description could you give of a city buried under sand dunes than to say that it had become bald? Ashkelon was one of the main cities of Palestine when the prophecies regarding it were written. It was a prosperous city in the days of Christ. Herod the Great beautifully embellished Ashkelon and established his summer resort there. But in A.D. 1270 sultan Bibars destroyed it, and it has never been rebuilt. The seacoast in this vicinity has become the grazing place for many flocks of sheep. It is dotted with shepherd's huts and sheepfolds. 1. Many races of people have continued from the dates of these prophecies to the present day, but the Philistine has vanished, so the first estimate is placed at one in five. 2. What is the chance that Gaza would become covered with sand (bald)? This is extremely rare, especially in Palestine, so the estimate is set at one in one hundred. 3. The chance that Ashkelon should become desolate was estimated at one in five. 4. What is the chance that after ashkelon was destroyed, it and its surroundings should become a sheep country instead of being put to some other use, or just lying idle, or rebuilt? Estimate, one in five. 1. Jericho shall be rebuilt. 2. It shall be rebuilt by one man. 3. The builder's oldest son shall die when the work on the city starts. 4. The probability that his youngest son should die just as the gates were being hung was also estimated, from mortality tables, at one in one hundred. These give for the whole prophecy a probability of 1 in 2 x 10 x 100 x 100 or 1 in 2 x 105. When this prophecy was written the road from the kidron Valley entered through this gate, called the Golden Gate. This gate was in use at the time of Christ and is thought to be the gate through which He made His triumphal entry. In A.D. 1543, when the walls of Jerusalem were restored by Sultan Suleiman, the road to the Golden Gate was no longer in use. The sultan, seeing no more use for the gate, ordered it closed. Instead of building the wall straight across the place where the gate had been, he restored the gate with its arches and ornaments, and then walled up the gate's openings themselves. Kaiser Wilhelm planned to take Jerusalem and have the Golden Gate opened for his triumphal entry into the city. Apparently the kaiser thought he could tamper with prophecy and forcibly violate it. It looks as if this gate were just waiting for the return of Christ, when it could be reopened and constitute His main entrance to the city. The gate is just beside the site of the temple. From the writing of this prophecy to the present time parts of Jerusalem have often been destroyed and rebuilt, but in 1543, when the walls of Jerusalem were rebuilt by Sultan Suleiman, that part known as Zion, the city of David, was left outside the walls. It was--and large parts of it still are--plowed and in grain and other crops. It is the only part of the old city which ever has been plowed. Thus nine items were named in the expansion of the city of Jerusalem. First it was prophesied that it would expand, then the order of the expansion. "And I will make your cities waste, and bring your sanctuaries unto desolation... And I will bring the land into desolation: and your enemies which dwell therein shall be astonished at it. And I will scatter you among the heathen, and will draw out a sword after you: and your land shall be desolate, and your cities waste" (Lev. 26:31-33 - written 1491 B.C.). "Thus saith the Lord God; In the day that I shall have cleansed you from all your iniquities I will also cause you to dwell in the cities, and the wastes shall be builded. And the desolate land shall be tilled" (Ezek. 36:33-35 - written 587 B.C.). 1. The cities of Palestine shall become waste. 2. The sanctuaries shall become desolate. 3. The land shall become desolate. 4. Enemies shall inhabit the land. 5. The Jews shall be scattered. 6. A sword shall go out after the Jews. 7. The Jews shall return to Palestine; the cities shall be rebuilt, and its land shall be tilled. Let us consider these predictions in detail. 1. This prophecy was made soon after the Lord had led the children of Israel out of Egypt and into the promised land. It did not seem likely that He would again allow the cities to become waste. Estimate, one in ten. 2. The sanctuaries had been kept active all through the wilderness. What is the probability that they shall become desolate with the cities? Estimate, one in two. 3. Visitors to Palestine, before 1900, reported that very little of the land was tilled; the great mass of it was a total desolation. Probability estimate, one in ten. 4. Palestine became the stronghold of the Muslims, the enemies of the Jews; that they occupied the land cannot be doubted. The estimated probability of this condition was given as one in two. 5. Up to the time of the prophecy, the Jews, even in persecution, had always stayed together, whether in Egypt, Palestine or Sinai. The probability that they would be scattered was estimated one in five. 6. The Jews have been persecuted as no other race on the face of the earth. Their persecution by Hitler, in recent years, is perhaps the cruelest persecution recorded in all history. Estimated probability was one in ten. 7. What is the probability that after being so scattered and persecuted, they would again return and reclaim their country? This reclamation has been accomplished in the last few years. We have all marveled at its speed and the military success of the Jews in retaking Palestine. Estimate, one in ten. Thus for the fulfillment of the whole prophecy we have a probability of 1 in 2 x 105. Note Leviticus 26:8 "And five of you shall chase one hundred, and one hundred of you shall put ten thousand to flight: and your enemies shall fall before you by the sword." This prophecy probably was not originally intended to refer to the 1967 six-day war between Israel and the Arabs. However, the prophecy is fulfilled in a very remarkable way by this war. The total population of Egypt, Jordan and Syria is roughly twenty times the population of Israel, the same ratio as the five to one hundred in the prophecy. 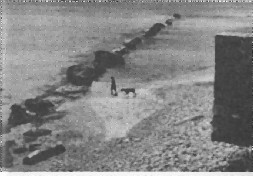 And perhaps no army in history has been more completely routed than was the Egyptian army in the Sinai Peninsula, when the soldiers fled on foot, in tanks and in all types of conveyances, many of which piled up on top of each other trying to get through the mountain passes in their frantic attempted escape from the forces of Israel. And say unto the Ammonities...I will deliver thee to the men of the east for a possession, and they shall set their palaces in thee, and make their dwellings in thee: they shall eat thy fruit, and they shall drink thy milk ... Therefore, behold, I will open the side of Moab ... unto the men of the east (Ezek. 25:3-4,9-10 - written 590 B.C.). Yet will I bring again the captivity of Moab in the latter days, saith the Lord (Jer. 48:47 - written 600 B.C.). I will bring again the captivity of the children of Ammon, saith the Lord (Jer. 49:6 - written 600 B.C.). 1. Moab and Ammon shall be taken by men of the east and they shall eat the fruits of the land. 2. The men from the east will build palaces in Ammon. 3. The moabites and Ammonites will eventually be returned and given their land again. The Arabs repeatedly raided these countries and took the fruits of the land. Eventually they drive out most of the inhabitants, but did little with the land. 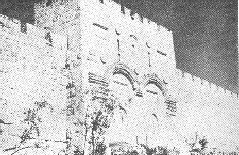 Palaces which the Arabs built in Ammon are still in use. Recently the British have protected this country against raids. The land is again being tilled and cities are growing at rates never before known in this land. The estimates for the probable fulfillment of these items were given as: (1) one in five; (2) one in ten; (3) one in twenty. O thou that dwellest in the clefts of the rock ... I will bring thee down from thence, saith the Lord. Also Edom shall be a desolation: every one that goeth by it shall be astonished, and shall hiss at all the plagues thereof ... No man shall abide there, neither shall a son of man dwell in it (Jer. 49:16-18 - written 600 B.C.). 1. Edom shall be conquered. 2. Edom shall be desolate. 3. Edom shall not be reinhabited. At the time of the writing of this prophecy Edom was a very prosperous country. Its soil is considered among the richest in the world. It was on many great trade routes. Its capital city, Petros, was hewn out of solid rock, and perhaps had the best natural defenses of any city in the world. It remained a prosperous city until long after Christ. It was taken by the Muhammadans in A.D. 636. From that day to this it has lain desolate. A National Geographical Society expedition, in traveling through the country, reported that practically no people or animals were found. 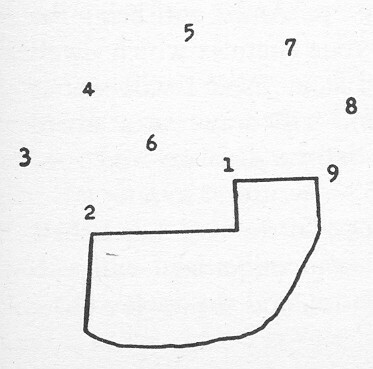 The probabilities for the fulfillment of these different items were estimated as follows: (1) one in ten; (2) one in ten; (3) one in one hundred. And Babylon ... shall never be inhabited, neither shall it be dwelt in from generation to generation: neither shall the Arabian pitch tent there; neither shall the shepherds make their fold there. But wild beasts of the desert shall lie there; and their houses shall be full of doleful creatures (Isa. 13:19-21 - written 712 B.C.). And they shall not take of thee a stone for a corner, nor a stone for foundations; but thou shalt be desolate forever, saith the Lord ... Neither doth any son of man pass thereby (Jer. 51:26,43 - written 600 B.C.). 1. Babylon shall be destroyed. 2. It shall never be reinhabited. 3. The Arabs shall not pitch their tents there. 4. There shall be no sheepfolds there. 5. Wild beasts shall occupy the ruins. 6. The stones shall not be taken away for other buildings. 7. Men shall not pass by the ruins. Babylon was conquered in 538 B.C., having been one of the greatest cities, if not the greatest city of all times. Its walls were 90 feet thick and 300 feet high, with towers rising much higher. The length of the walls was about fourteen miles on each side of the city. A river flowed through the city guaranteeing its water supply. There was enough land within its walls to supply the city with food. It had no fear of a siege. Though the Arabs will pitch their tents at nearly any spot, they are superstitious about Babylon; and though you hire one as a guide, he will not stay there at night. The ruined city is uninhabited by humans; jackals and many kinds of wild beasts live in the ruins. There are no sheepfolds about Babylon. Bricks and building materials of many kinds have been salvaged from the ruins for cities round about, but the rocks, which were imported to Babylon at such great cost, have never been moved. Though nearly all ancient cities are on prominent tourist routes, Babylon is not, and has very few visitors. Some will say that the estimates given in some of these prophecies are too large and should be reduced. Other may say that some of the prophecies are related and should have smaller estimates. That may be true, so I would suggest that such a person go back over the prophecies and make his own estimates. They will be found to be still large enough to be conclusive. He may add to the consideration other prophecies and estimate their probability of fulfillment. Use, for example, such prophecies as those referring to the city of Sidon (Ezek. 28:20-23); Capernaum and Bethsaida (Luke 10:13,15); the highway between Egypt and Assyria (Isa. 19:23-25); changes in Egypt (Ezek. 29:12-15; 30:13). I am sure there are more than enough fulfilled prophecies to establish the probability number given above even when the estimates are taken from the most conservative critic. Others may say that these accounts in the Bible are not prophecies, but historical accounts written after the events happened. This is absurd, for all of these prophecies are found in the Old Testament, and every one dates its writing long before Christ. One of these prophecies was completely fulfilled before Christ. Two had small parts fulfilled before Christ, and the remaining parts after Christ. All other prophecies considered were completely fulfilled after Christ. If we were to strike out all estimates given for parts of prophecies fulfilled before Christ our probability number would still be so large that the strength of its argument could not be comprehended. Let us try to visualize our probability of 1 in 5.76 x 1059. Let us round this off to 5 x 1059. Let us suppose that we had that number of silver dollars. What kind of a pile would this be? The volume of the sun is more than 1,000,000 times that of the earth, yet out of 5 x 1059 silver dollars we could make 1028 solid silver balls the size of the sun. It has been estimated that the whole universe contains about two trillion galaxies, each containing about 100 billion stars. From our 5 x 1059 dollars we could make all of the stars, in all of these galaxies, 2 x 105 times. Suppose we had marked one of these silver dollars, and had stirred it into the whole pile before we had made them into balls the size of the sun. Then suppose we had blindfolded a man and told him to go over all of these great balls and pick up the dollar which he thinks is the right one. What chance would he have of finding the right one? It would be a very great task to look over this mass of dollars. If our blindfolded man were to travel sixty miles per hour, day and night, it would take him five years to go once around a star. This would give him a very poor chance to select what might be the marked dollar from that star, but this amount of time per star would take 500 billion years for each galaxy. Let us suppose our man were extremely speedy, able to look over all of the dollars contained in 100 billion stars each second (instead of 500 billion years), it would still take him about 3 x 109 years to look over the whole mass. This is one half the six billion years back to creation. It is absurd to think that he would have any conceivable chance of picking up the right dollar. The chance of these eleven prophecies being written in human wisdom, and all coming true, is a similar chance to that which the blindfolded man had of finding the right dollar. But these prophecies, and many more, all came true. We can then draw only one conclusion, and that is that God inspired the writing of every one of these prophecies. What stronger proof can any man ask for the inspiration of the Bible? In Isaiah 41:23 the prophet hurled out the challenge to heathen gods: "Show the things that are to come hereafter, that we may know that ye are gods." God has accepted this challenge. He has predicted multitudes of events to happen in the future. They have come true exactly as predicted, even though in some cases thousands of years were involved for the fulfillment. God has proved that He is our supernatural God with all wisdom. We have no alternative but to believe. S. A. Cook, "Fall and Rise of Judah," Cambridge Ancient History (Cambridge: Cambridge University, 1954) III 399-402. George S. Goodspeed, History of the Ancient World (New York: Scribner, 1904), pp. 210-12. H. G. Wells, outline of history (New York: Macmillan, 1920), I, 322-24. "Tyre," Encyclopaedia Britannica, XXII, 652-53. George T.B. Davis, Fulfilled Prophecies That Prove the Bible (Philadelphia: Million Testaments Campaign, 1931), pp. 8-15. 28. George T.B. Davis, Fulfilled Prophecies That Prove the Bible (Philadelphia: Million Testaments Campaign, 1931), pp. 30-33.